As a Hot water machine the SW110 comes with a built in seamless mild steel heating coil. Capable of heating water up to 90° C (or 150° C with an optional steam kit) or running at standard cold water temperature. It also comes with a low speed industrial motor, four solid wheels, adjustable detergent injector with 10L bottle, a ten meter high pressure hose, and a high pressure gun and lance. 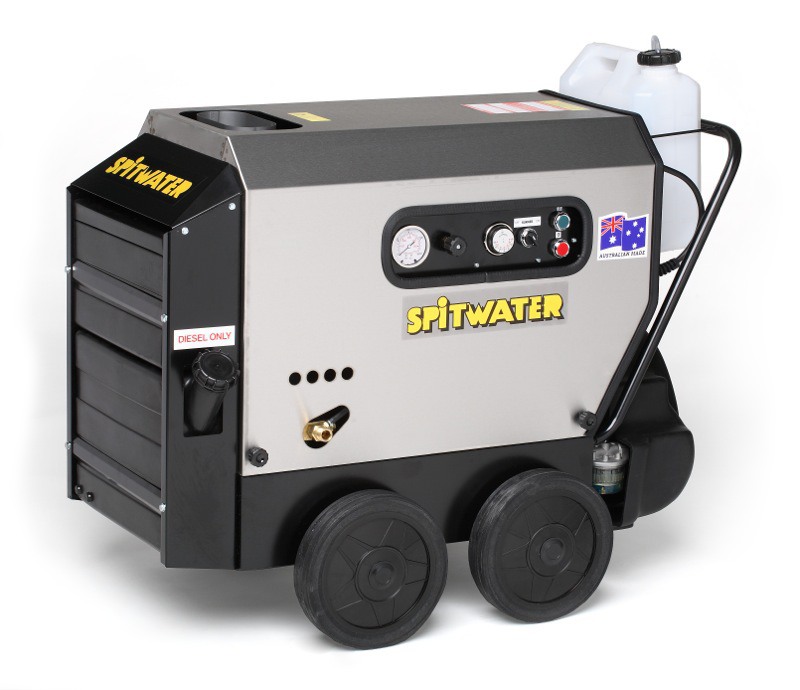 It features an all metal chasis, and as an industrial model the SW110 comes with industrial aids for the preservation and longevity of the machine including, automatic shutoff and the Spitwater Industrial exclusive cooling tank. Popular among car cleaners, plumbers and fleet maintenance, the hot water from this machine is perfect for cutting through grease.